The Christmas holidays are always filled with lots of merry making and holiday cheer. Aside from spending the season with our loved ones, Christmas can also mean heavy gift giving which can also translate to extra out of pocket expenses and time for Christmas shopping. However, to help us make the load easier, there are a lot of promotions such as sales and discounts for us to save on our holiday shopping. However, if you find yourself short of cash this season, then Apple Credit Union may just be the one to help you. With their promotions this season, you may find the solution to your holiday problems. 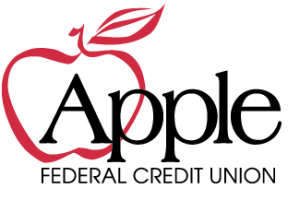 Apple Credit Union is currently offering a holiday loan special that allows you to borrow as much as $5,000. This deal is especially good for those who are short on cash this holiday season. The promotion offers loans of up to $5,000 which is payable in the next 11 months at 9.99% APR.This deal is set to expire this December 31st. For the others who don’t really have a problem with cash, but are short on time when it comes to Christmas shopping, then Apple Credit Union has something for you too. If you think there isn’t a single gift that just about everyone would appreciate, think again. Visa Holiday gift cards are the perfect gift to hand out this Christmas. This card allows you to pre-load in amounts up to the maximum of $1,000. So whether it’s for your teenage son, your newly married daughter, or your shopaholic wife, this gift would surely fit anyone’s wish list. Not only does it really suit their needs, but it also saves you the trouble of having to go around shops finding something that your significant other may not really like. The credit union is available in select locations of Virginia. It has also been serving the educational community since 1956. You may check membership eligibility at their website plus a range of other holiday promotions they have. Christmas is just about a week away so there’s really no time to waste.